Comal ISD continues to produce some of the nation’s top academic performers. This school year, the district is proud to announce 24 seniors received National Merit honors. 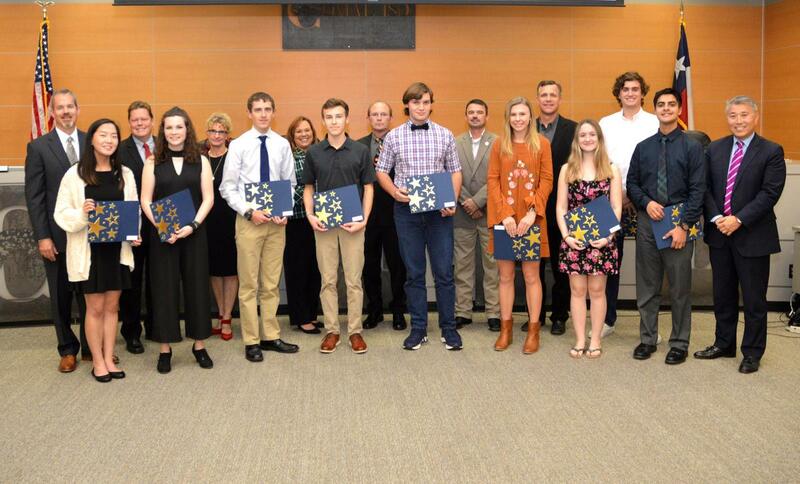 Smithson Valley High School senior Luke Estes was named National Merit Semifinalist, nine more were named National Merit Commended students, and a record-tying 16 Comal ISD students earned distinction in the National Hispanic Recognition program. Among the more than 1.6 million juniors in more than 22,000 high schools who took the Pre-SAT test in 2017, only 16,000 were named National Merit Semifinalists. Of the 16,000 semifinalists, 15,000 students will be named National Merit Finalists in February. Half of those students will be selected as Merit Scholarship winners, earning the Merit Scholar title. About 34,000 commended students throughout the nation were recognized as National Merit Commended students. Although they will not continue in the competition for National Merit Scholarships, the commended students placed among the top 5 percent nationwide. Canyon High’s commended students are Abby Neill and Joie Parma, Canyon Lake’s commended students are Charles Kidd and Audrey Schulze, and Smithson Valley’s commended students are Reagan Achee, Jonathan Foster, Santon Garcia, Camron Taylor and Jacob Tostado. Additionally, seventeen Comal ISD students earned distinction in National Hispanic Recognition program. The College Board’s National Hispanic Recognition program is an honor in which students have to meet certain academic criteria. Students must have a cumulative GPA of 3.5 or higher on a 4.0 scale and must achieve the minimum required Pre-SAT Selection Index score (which can vary each school year). Canyon High students Jazmin Krummel, Jacob Martinez, Amy Medina Gil, Wesley Garza and Tyler Waite; Canyon Lake High student Charles Kidd; Memorial Early College High student Sebastian Coronado; and Smithson Valley High students Isaiah Suarez, Danielle Keranen, Adam Cevallos, Andrew Doyle, Santos Garcia, Jacob Tostado, Reginald Warren, Jacquelyne Howell, Barrett Kerr and Rebecca Covington. Each of these students earned National Hispanic Recognition. Superintendent Andrew Kim said he couldn’t be more proud of their accomplishments.